St. Patrick lived his years as a great example for us today. But he didn’t live it out simply by “the luck of the Irish,” as some may say, for one theme shines through it all – God’s Presence and Sovereignty are Powerful. 1. St. Patrick was actually not Irish, he was born in Great Britain in the yr. 387, and was kidnapped by pirates at the age of 16, and taken to Ireland where he served as a slave for 6 yrs. 2. During those yrs., he worked as a shepherd, under harsh authority, often alone, hungry, and cold. He says it was during those yrs. that God’s Presence became very real to him, and he began a close, intimate walk with the Lord. 3. St. Patrick shares in writings that he prayed many prayers through the day, and even into the night. He shared these words of his time in captivity, “and the faith grew in me, and the spirit was roused, so that, in a single day, I have said as many as a hundred prayers, and in the night nearly the same, so that whilst in the woods and on the mountain, even before the dawn, I was roused to prayer…” He wrote a famous prayer still recited today called the prayer of St. Patrick or St. Patrick’s Breastplate. 4. God awoke him one night and said, “Your way of escape is here.” St. Patrick walked 200 miles to a ship where he was able to secretly escape to get back to his homeland. 5. Over time, as St. Patrick began to study God’s Word, he sensed God leading him back to Ireland to share Christ with the people. He shares in his writings of a dream in which he heard the “voice of the Irish” begging him to “come and walk once more amongst us.” He knew very well this could mean certain death, for the Irish at that time were a barbaric, pagan people. 6. 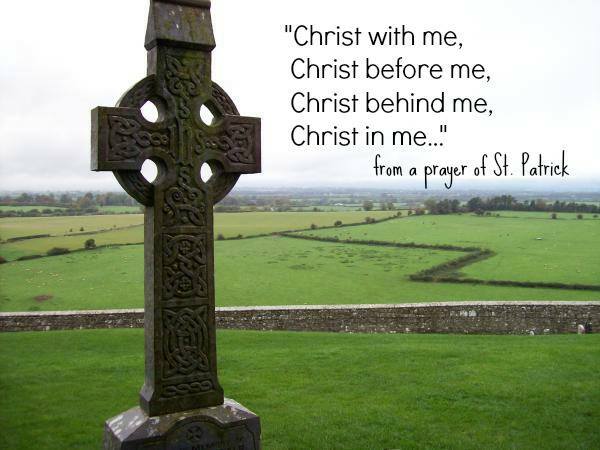 God blessed St. Patrick greatly as he went to Ireland and taught, served, and ministered to the people. Revival broke out, thousands of people were saved, it was reported that he baptized over 120,000 people and founded 300 churches. It was said that Patrick found Ireland heathen and left it Christian, resulting in Irish missionaries re-evangelizing Europe in later centuries. History recounts that because many of the people at that time were illiterate, they would memorize long passages of scripture such as Psalm 119, the longest chapter of the Bible, and pass their teachings down to their children. 7. History tells us that St. Patrick used the 3 leaved clover to teach about the Trinity, God the Father, Jesus the Son, and the Holy Spirit – how they are one, yet 3. 8. Legends say that St. Patrick drove out all the snakes of Ireland. But reality is, there were never any snakes there to begin with. Historians believe that this story is actually related to the fact that St. Patrick bravely stood up against the pagan gods and the king’s command to worship them, thus driving out dark forces. 9. St. Patrick died on March 17th, 461 in Ireland. It’s been recorded that his favorite color was actually blue, he wore it all the time, yet green became the choice for the celebration of St. Patrick’s Day since it’s now the official color of Ireland. 10. One thing we learn from studying this amazing man’s life. It wasn’t about leprechauns, 4 leaf clovers, wearing green, or about luck. His life was simply about the amazing Sovereignty and blessing of God, about obedience to His call, about prayer and faithfulness. May the example of this godly man from years ago, spur us onward even today. – We can trust God with our days. – We can trust that He will bring purpose through even the darkest of times. – We can trust His Sovereignty and Power over all. – We can be assured God’s presence is always with us and His plans for us are good. Happy St. Patrick’s Day, may God’s favor and blessing cover you this day. …and he kept the true Christian Sabbath. Thank you for the story of St. Patrick. It was both enlightening and encouraging. I love all your wonderful words given to you from our Abba. When I did research at a Irish library I found that St. Patrick had Spanish blood. Also Ireland has two flags. Thank you for your posts! You’re truly a light to the world!